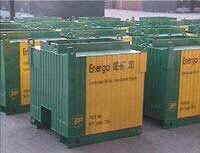 Steel IBC, a steel compact design means 20 x 1,000 litre IBC's fit into a 20ft container. 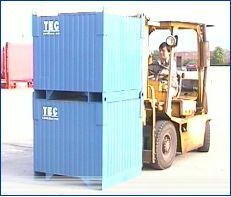 Product security is the prime function of the Steel IBC's. Designed to withstand the abuse often received in the field IBC's are a rigid construction, reinforced with recessed valves to ensure a longer operational life.